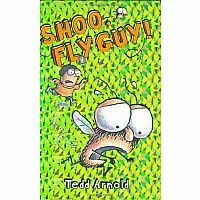 The third book in a humorous, easy-to-read series about a boy and his fly. Fly Guy returns home to discover that Buzz has gone on a picnic without him! Sad and hungry, Fly Guy takes off in search of his favorite food. 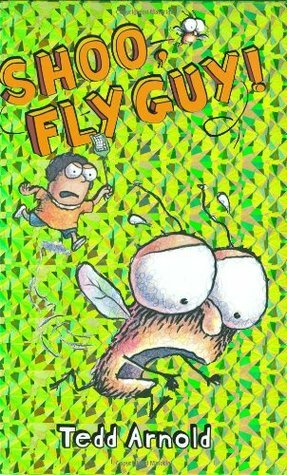 He gets shooed away from a hamburger, a pizza, a dog's bones, and even roadkill--leaving readers to guess what Fly Guy's favorite oozy, lumpy, smelly, and brown food could possibly be! Why, it's shoo-fly pie, of course! Using hyperbole, puns, slapstick, and silly drawings, bestselling author/illustrator Tedd Arnold creates an easy reader that is full of fun. With an eye-catching holographic foil cover, this is the third in a series of four books.